A pet has always been an important part of the family and during the course of its stay with the family; it becomes one of the most lovable members of the family within no time. It has been very rightly said that the dogs are the best friends of men. Now, when you have a pet dog at your home, you need to take care and look after the dog as well. While there is a dog in the house, you need to make sure that there are certain necessary items always available in the house. Some of the most important items that you must have in the house when there is a pet dog are as mentioned below. A first aid kit for the pet is one of the most vital accessories that should certainly be present in the house. You never know what situations can arise and so it is always better to be prepared well in advance. It might be a simple bruise or a cut but if you have a first aid kit, you can give the primary treatment before the specialist arrives. You can refer to the websites like Petsarethebest.Net to have a deeper knowledge about how to care for your pet. Both the baby gates and exercise pens are mandatory if you have a pet dog in your house. This is because we all want to keep the dogs away from the doors and at the same time there is the need to provide them with a safe space so that they are able to stretch their legs in the backyard. These are also helpful in creating a safe zone for the dog especially when they are all alone at home. When there is a pet dog in the house, you should make it a point that there is an extra spare leash. 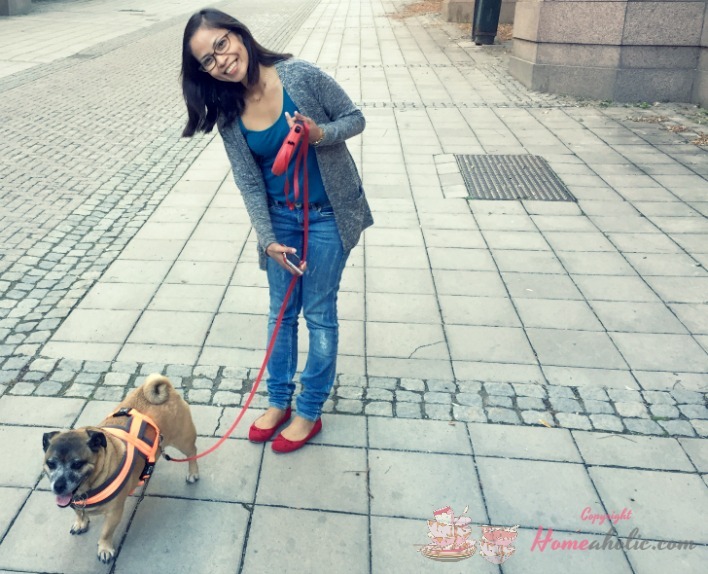 This extra leash for the pet dog is just similar to a spare jacket for the human beings and this is the exact reason why a spare leash should always be present. Another of the necessary items that you should keep in your house when there is a pet dog is a harness. It helps in the providing more security and comfort to the dogs. The harness is especially good for the ones who have a tendency to pull on the leash. There are a number of different types of harnesses available which can be chosen according to the needs and requirements. You should always keep some paw wipes and coat wipes handy at the house when you have a pet dog with you. There might be days when you cannot bathe your dog and in that time these wipes are very helpful. It is always recommended that before you decide to have a pet dog in your house, make a list of the essential items and keep those ready. After all, your pet deserves ultimate comfort and safety, and it is your duty to provide the same.